Every year the Sandy Area Chamber of Commerce raises funds through its Chamber Cares program to support the community. The Sandy Veterans of Foreign Wars post is the most recent recipient of $138 of those funds. The money will go to the effort to replace the stairs leading into the VFW hall, which are aging and in need of some TLC. 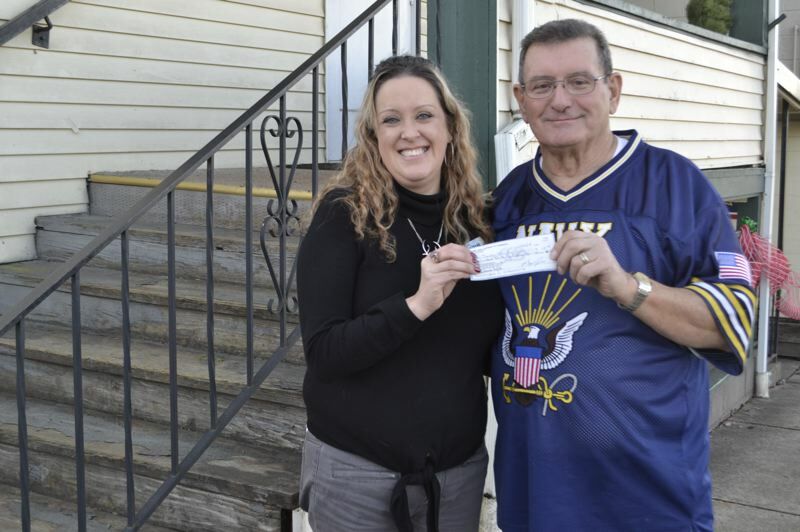 "We heard there was a need, so we decided with our Chamber Cares program we would help out the VFW," said Chamber Executive Director Khrys Jones. The Chamber raised the funds during its annual meeting, hosted at the VFW hall on Dec. 12. Jones noted that the decision to donate funds was made in part as a thank you for allowing the use of the VFW's space. "I think it's wonderful and I really appreciate it," said VFW Commander Allen Anderson. "Any time they want to host an event here, they're welcome."